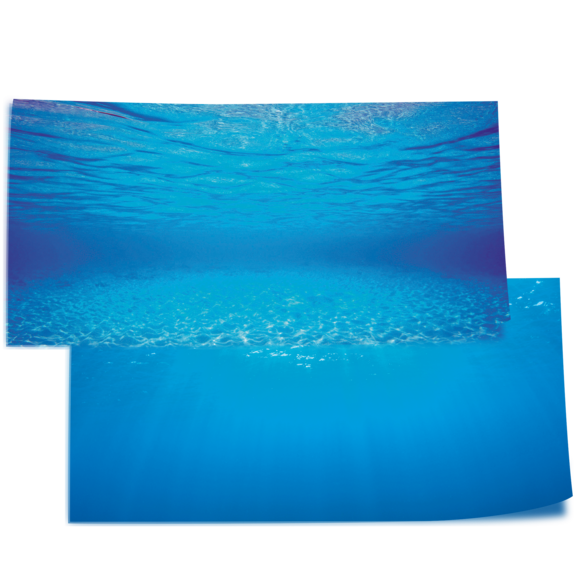 With its two light blue underwater impressions on the front and back, the Poster 2 offers two appealing motifs for the variable design of your aquarium. The water-resistant film is simply attached behind your aquarium. To achieve a particularly vivid and bright effect, we recommend fixation with JUWEL Poster Fix.